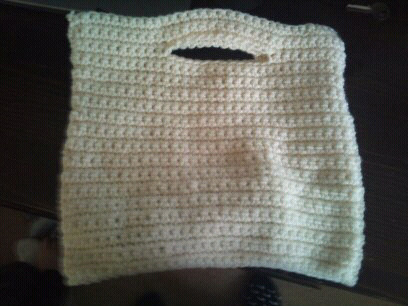 The first bag I made. I would recommend this book for someone new starting out. Basic patterns for a hat, slippers, mittens, scarf and bag. It then shows you how to personlise them. Step by step instructions that are easier to follow.